Just wanted to share some screenshots from our recent game (Hyper Void) we did for the PS3 and PS4 consoles. 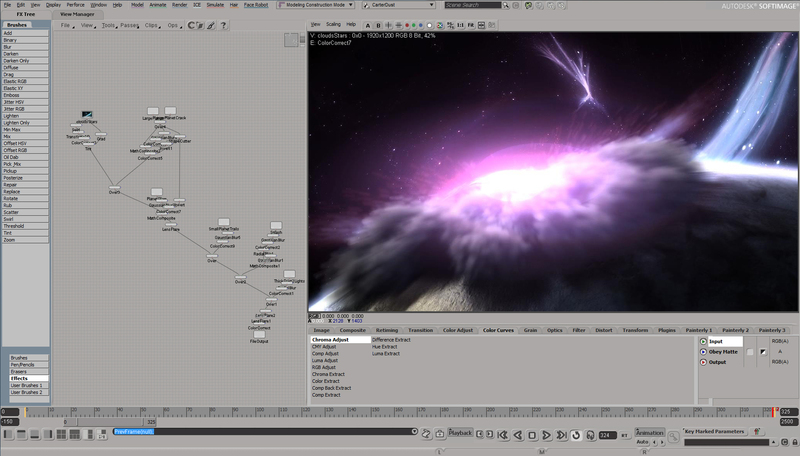 Our pipeline supports Softimage through the dotXSI file format. It was really fun doing this game in Soft. Wow, that looks like a fun "old school" space shooter. That does look like a fun game. I vote +1 for a making of. Good job! where did you go with dotXSI? unity? Very happy to hear that We have the PC port in mind but it is not confirmed yet. caledonian_tartan wrote: Very cool! great! No it is not Unity. It is our in-house engine. We used dotXSI to export many things not only meshes. 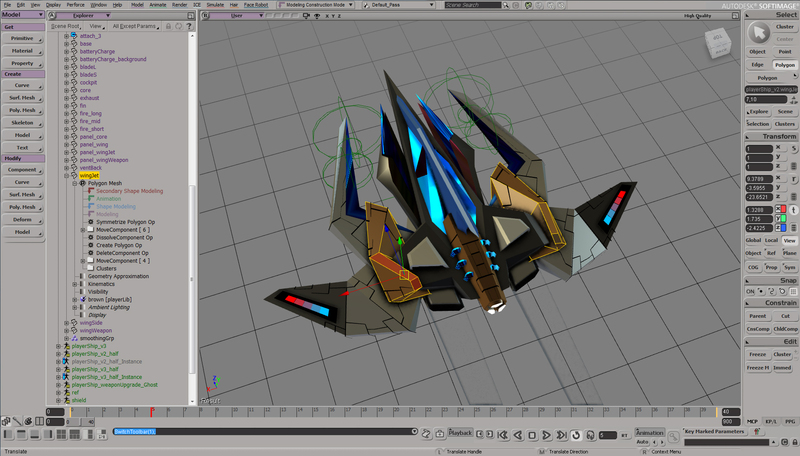 For example we exported nurbs curves that were used to generate levels dynamically in-game. This is one of the reasons why we went with dotXSI not FBX. If you were to port it, I'd buy it as well. So now you already have 2 potential new customers, nothing should hold you back! Wasn't aware of this game. I need to check out the Xbox version. Nicely done, and great videos!!!! Thanks for the headsup, looks like a fun game to play. Q: So the COSMOFORM engine is a in-house build? What made you decide to do that, instead of going for Unity or Unreal? Hyper Void implements several custom techniques that are not available in Unity nor UE4 and trying to implement them in Unity or UE4 in an efficient way is either not possible because the source code is not available or it is hard because it may requires changing the core engine. 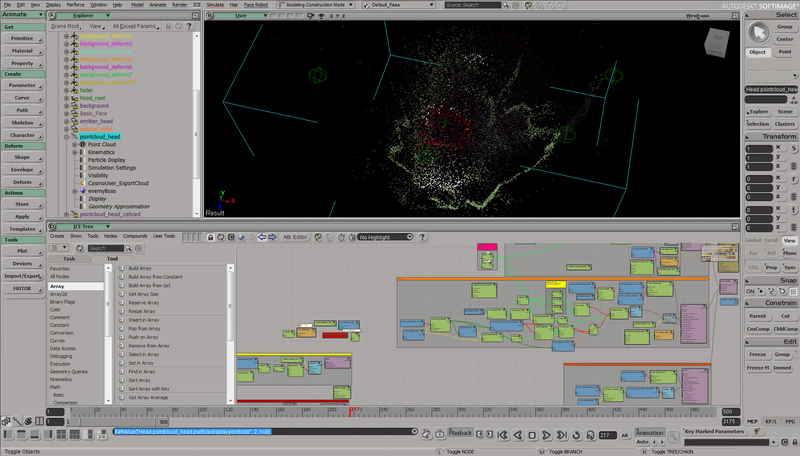 - Mega particles for rendering lit volumetric clouds. (Published in ShaderX5 book 2006). 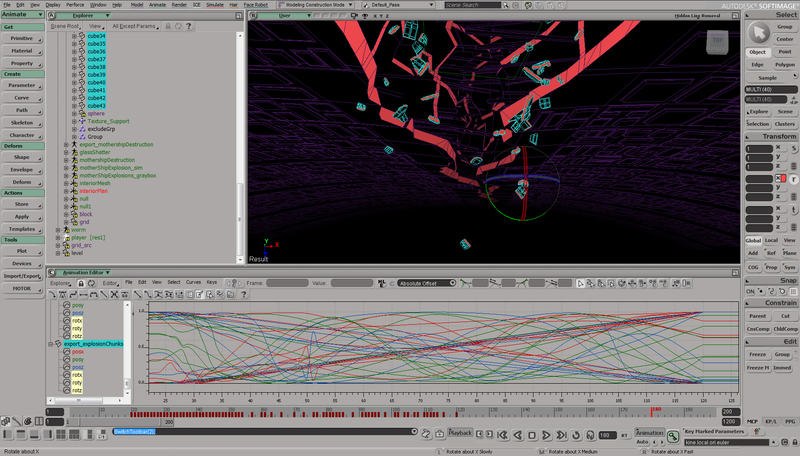 - Interactive Cinematic Particles for simulating/streaming complex in-game particle sims partially generated in Softimage ICE. (Published in GPU Pro7 2016). Thanks for the links, very interesting reads indeed!